761 shoes found. Page 1 of 39. Purple ballerinas (also available in Blue and Khaki). Platform Purple high-heels from Office. 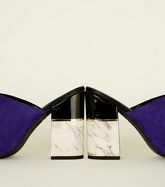 Purple Nubuck high-heels from Office. 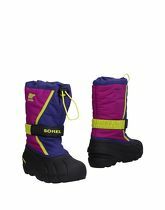 Synthetic fibers, Rubber; detachable inner, velcro closure, logo, round toeline, techno fabric, multicolour pattern, flat. Textile fibres; flat, solid colour, varnished effect, buckling ankle strap closure, faux leather, metal applications, round toeline. Purple trainers (also available in Blue), sheepskin insole, leather / textile upper, sheepskin lining, rubber sole. Platform Purple heels from Office. 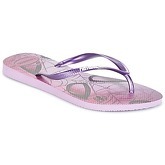 Purple flip flops (also available in Pink / Gold), rubber upper, rubber sole. 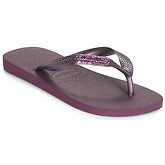 On this site you will find purple women's shoes in sizes from 2 to 11. There are 761 pairs of shoes starting with price of £7,00; 477 pairs from the whole collection are discounted at this moment. 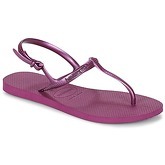 The most frequent shoes in this category are Sandals, Court Shoes, Ankle Boots and Trainers. There are 323 brands, most of shoes comes from Aquazzura, New Balance, Hogan, L' Autre Chose and New Look.